I hope you don’t mind a brief change of subject. I have a terrible reputation when it comes to plants. 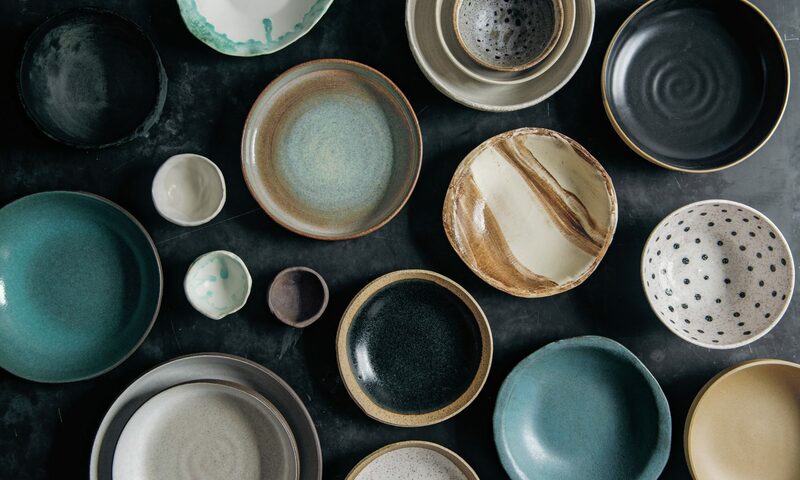 Most people I know who are gardeners have an innate quality that makes them able to communicate with and coax favors out of their plants (maybe this is called “patience”). I have no such skill. Historically, my practice is to stare at them fervently, sometimes reproachfully, and dump some water on them whenever the soil feels dry. So far this hasn’t worked. What I’ve just planted isn’t my first herb garden, but it’s the first herb garden that I will choose to remember; I am willing myself to be born anew as a capable urban gardener. I planted parsley, thyme (lemon thyme), and mint, three of my favorite and most used herbs. Already, they are perfuming my apartment and they look really lovely on my windowsill—and I couldn’t help but take a few dozen photos of them. When I bought the plants at the farmers market on Saturday, the weather was beautiful—sunny, and nearly 70 degrees. But the next day, unexpectedly, it cooled down and a blanket of clouds moved in. Because parts of my apartment get a decent amount of sun, I was planning to keep the herbs there with the window open and to periodically take them outside for stretches once it warms up. But now that it is cool—and my apartment is cool as well, too cool to leave the window open for very long—I’m not sure what the best thing for the herbs is. Is it okay to just leave them on the windowsill with the window closed for the next several days, until it warms up and the sun reappears? 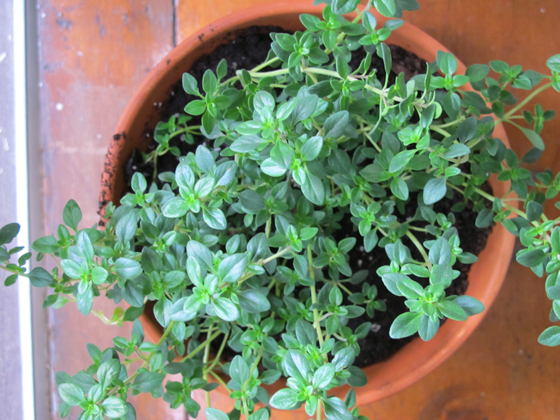 Can you treat herbs as house plants? And how often should I water them? Should the soil ever dry out? When and where do I trim them for harvest? Some internet sources say to trim at the base and from the outside in, particularly for the parsley and the thyme. 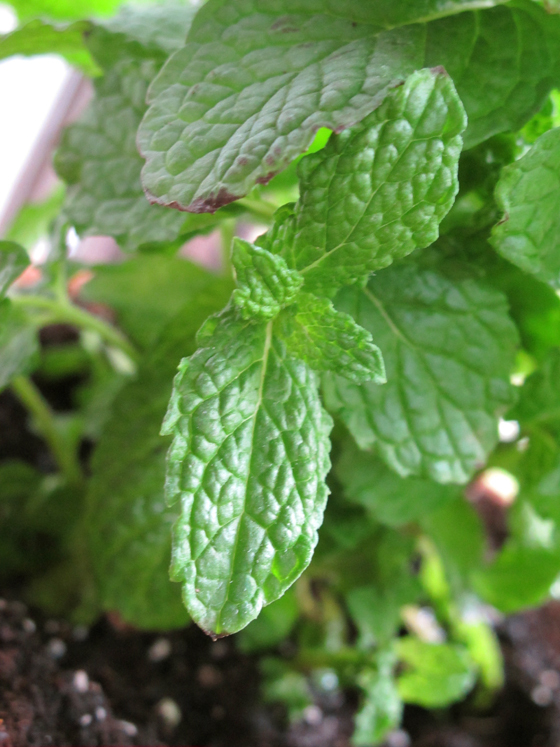 With mint, it appears I’m supposed to trim from the top, as this will allegedly encourage the plant to grow in girth. Do I trim them with scissors, or pinch the stems with my fingers? I’m particularly concerned about the parsley: What I bought looks like half of what I’d get if I were to just buy a bunch from the grocery store. Can I expect it to fill out, and what do I need to do to ensure that that happens? Lukas, Yes, leave them on the windowsill, they’ll be fine until it gets warmer – the parsley can take cooler temps, but not the thyme. Yes, the mint will grow in girth if you pinch the top, but it’ll send out runners anyway, and the pot you have it in will seem very small very soon. 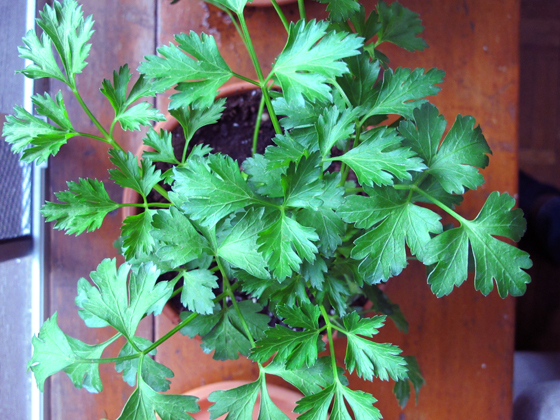 We just cut leaves off the parsley, and yes, you would need a lot more of a plant to get the bunch you get at the grocery store, but do you need that much at once? I would use kitchen shears, but you can pinch in a pinch. I should have just written to you first, Eileen! Thank you. Sheilah, I already need more parsley! 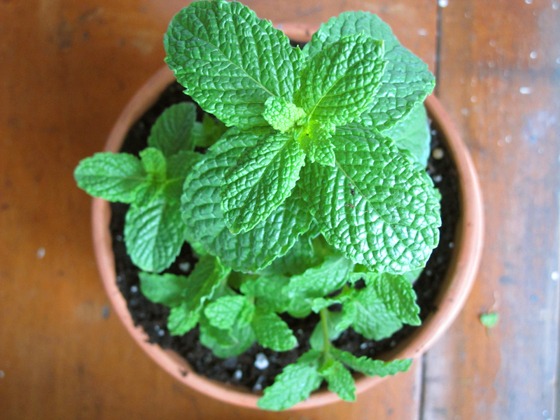 On that note, you should go ahead and have a bigger pot waiting in the wings for your mint… mint grows like wildfire! Danielle, your timing could not be better. My mint looks so sad… I had almost resigned myself to getting a new plant. 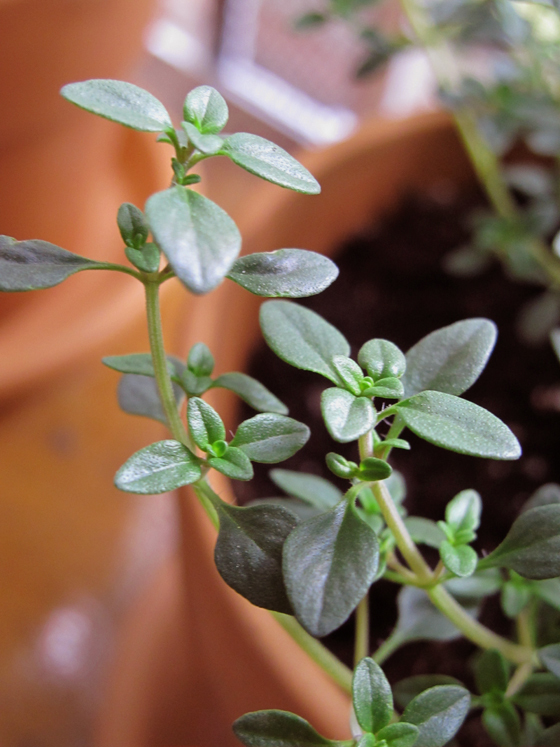 I think I’d over harvested–the problem is that I eat my herbs too frequently! Also, Danielle, you have such a gorgeous herb garden! My goodness!